« Falling for You is a Bestseller!! OMG, the good times just keep rolling this week! I don’t know when this happened or if the numbers were different earlier this week after the success I had with Falling for You (Thank you, thank you, thank you for making Falling for You an Amazon best seller!!! 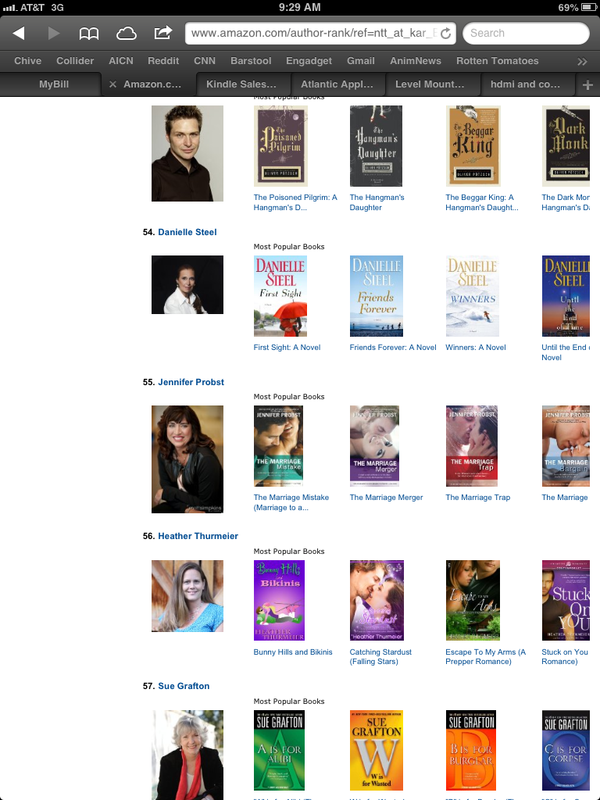 ), but this morning, I woke up to find myself on Amazon’s Top 100 list for authors!!! In case you can’t read that little number beside my name, it says #56. OMG!! 56!! Ca-raz-y!!! And to see the company I’m in—I’m looking at you Jennifer Probst!—is just mind blowing to me. Thank you to all of my wonderful readers who shouted out my Kindle Daily Deal earlier this week, to all of the new readers who picked up FALLING FOR YOU while it was on sale and gave me a chance. This is so cool. Once again congrats Heather! Congrats, Heather! That is awesome!